We've had some controvery previously when posting about Anonymous, and I wanted to clear up the position of the GFP upon their organization. We support Anonymous' effort to make the world's secrets known. Love has nothing to hide, while fear tries to hide Everything, but there will be no more darkness when the Truth is there for all to see. While we support Anonymous' vision, we don't necessarily support every action by those identifying themselves as members of Anonymous. Some of their actions are done out of hate, and this is not something we can endorse. 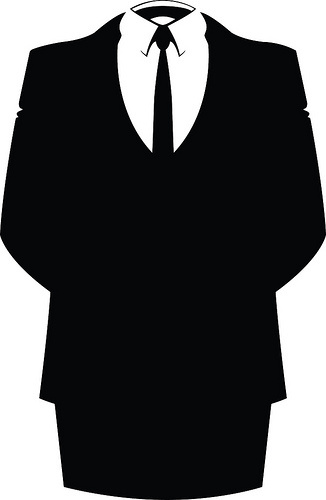 The major corporations, those "too big to fail" monstrosities, are very afraid of Anonymous. It's terrifying to them that even though they can buy off the most powerful governments in the world, these same corporations can be brought to their knees by some 14 year old kid on a $300 computer. That's the power of a Human Being over an illusionary entity like a corporation.